Encircled puts recurring�rhythmic passages in the foreground, reminding us of traditional�military music. These passages are always enveloped in more modern sonorities and harmonies in order to combine tradition and modernity. Right from the first notes, we can hear the melodic/rhythmic motif which will serve as the main musical material throughout the whole work. 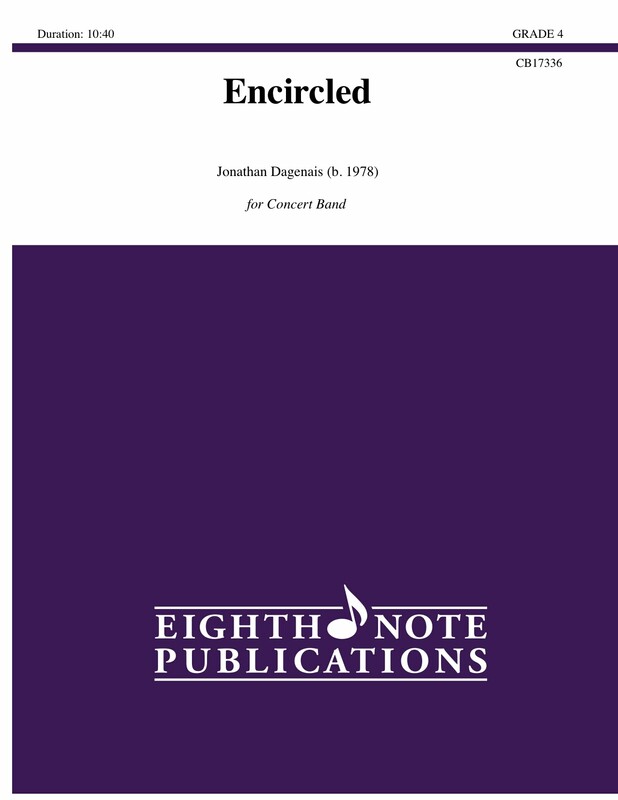 With cadenzas, flowing lyrical writing and powerful rhythmic drive, this is an exciting and dramatic work.